Pokemon Adventures Vol. 1 Review – AiPT! 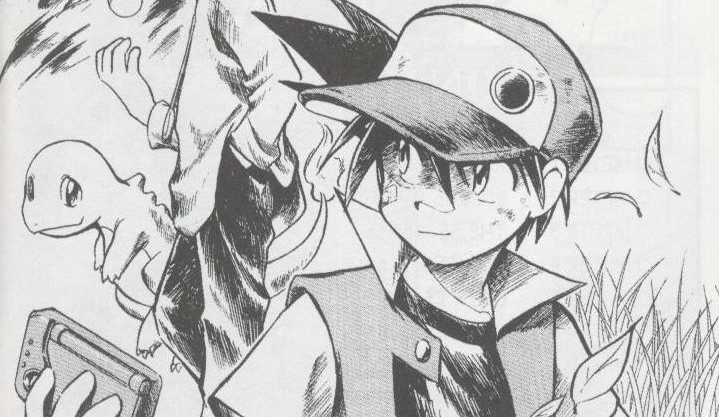 Of all the Pokémon manga adaptations out there, Pokémon Adventures is easily the most recognizable. Debuting just a few months before the release of The Electric Tale of Pikachu in Japan, this series follows the games more closely (somewhat) and is still going on to this day. Pokémon Adventures is currently adapting the X & Y games in Japan and with the upcoming release of Pokémon Sun and Moon, we’re sure to see that get an adaption as well. However, with Vol. 1 we focus on the beginning — specifically Pokémon Red and Blue. Is it good? In Pallet Town, there’s a local Pokémon trainer by the name of Red. He’s pretty good and thinks very highly of himself. However, a run-in with a legendary Pokémon serves as a wakeup call for the kid. He’s looking to get better, which leads him to local Pokémon expert and researcher, Professor Oak. From there, the kid sets out on a quest to meet new Pokémon and fill out his brand new Pokédex, while also meeting familiar faces from the games and facing down the imposing criminal organization known as Team Rocket. Like I said, the Pokémon Adventures series is based more closely on the video games than the anime (though it does hit one maybe point or two from the show). The names of Red and Blue are taken from the titular games, the character and Pokémon designs are closer to the games (though the Pokémon designs are more a mix of the game and the show overall), familiar locations show up and even certain game events happen. The manga brings a big dose of familiarity for fans of the series, while also easing in newbies to the franchise; on top of that, it’s not without its own new additions, surprises, and changes to the source material. Now the changes and additions made in the first volume range from simple and small to rather big and important. The small stuff includes: changes to where Pokémon are located in the wild (Kangaskhan is nowhere near Viridian Forest) and gym battles being really not all that important or focused on. Then there are stranger changes like certain types of moves not being effective against other types of Pokémon (Water having absolutely no effect on Grass types and Electricity somehow working on Ground-types), which can be a bit confusing. Finally, there are decisions like certain characters now being villains or people not believing in ghosts, even though Ghost Pokémon are scientifically proven to actually exist. These changes don’t really hurt the manga as a whole, but they definitely make one wonder why they were done in the first place. Well technically, if you use a Master Ball, that would work.Last thing to mention in this adaptation is the tone. Pokémon as a whole always has this pervading sense of fun and childlike wonder, but also an underlying sense of dread and some contrasting, darker elements: animal abuse, villains with genocidal plans and Pokémon that are created out of the remains of other creatures being a few that come to mind. The Adventures series maintains that tone and possibly even goes a bit further with it in the darker parts; you get scenes of Red bonding with his Pokémon and trying to catch others, but then you get moments where the character is nearly killed because he’s a witness to a Pokémon smuggling operation, actual zombies with rotting flesh, and Pokémon brutally maimed and possibly killed (Arbok and Graveler in this series get really messed up). It’s shocking at points, but yet it’s not something that happens all the time nor does it get overly gratuitous. In comparison to The Electric Tale of Pikachu, I’d say Pokémon Adventures is much stronger in the story department. The story is simple enough initially, with Red just setting out on a journey to fill out the Pokédex and become a better Pokémon trainer — it soon expands as new characters are introduced (like Misty) and Team Rocket becomes a much bigger and more relevant threat. There are also chapters that naturally flow from one into the next, continuing the storyline or plot points from the previous chapter instead of just jumping ahead to a random point — like when Red captures a stubborn (and familiar) Pikachu and tries to get him to cooperate. As such, the whole manga feels more like a natural, ongoing story than the other series and even some of the earlier games. The writing and translation here are done well, minus one aspect: the pacing is a bit off. This is probably due to the fact that each chapter is about 14 pages long, so the plot of each has keep moving along and rush in some areas. It’s usually not noticeable and most of the time, the plotting feels very tight, but in some chapters it feels as though some sections are being rushed (like in the final chapter of the collection). Otherwise, there’s little to find fault with. The manga is pretty good with transitioning between the scenes and the dialogue is decent and never heavy on the exposition. The humor is light and kid friendly (though the puns are very groan-inducing) and the characterization is well handled. Everyone feels fleshed out well enough to get a good idea of who they are, especially in the first chapter when we are introduced to Red and Blue. Art-wise, Mato does a fine job. The character designs resemble those of the original Red & Blue games, while the Pokémon designs seem to resemble the anime more (though strangely, Pokédex entries we see use the actual sprites of the creatures from the games). All of them look and are depicted fairly well, being both very expressive in their facial expressions and body language. I especially like how the artist gives the Pokémon a lot of personality, especially with Red’s Pikachu and his early on showboating. The action is nice and flows well from panel to panel, making some decent looking action scenes like the gym battle with Red and Brock. The layouts are good as well and while there’s occasionally just empty voids in the background, the locations are nicely detailed when seen. Pokémon Adventures Vol. 1 is a lot of fun and a great series for all ages; it adapts the material fairly well using old ideas and putting new spins on moments from the game, the writing is solid, and the artwork is very appealing. While maybe not the best choice for older non-fans of the series, if you are big into Pokémon or you want to get a young child into the series, this is definitely the choice to go with.